Contractors working in the domestic market have a powerful tool when it comes to promoting quality, reliability and sustainability of single ply roofing to their customers. 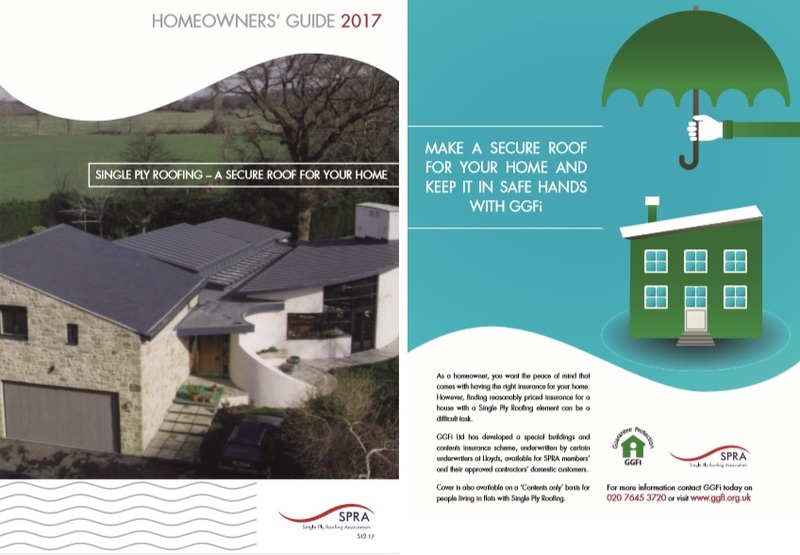 By drawing client’s attention to the Single Ply Roofing Association’s free Homeowner Guide and the special Building and Contents Insurance offer from GGFi, they can support their clients to make informed decisions on design, specification and product choice for their domestic project. By promoting these resources, the contractor is also demonstrating their own commitment to quality. The SPRA Homeowners Guide provides helpful guidance to homeowners seeking a durable roofing solution with low environmental impact for their home renovation or construction project. The guide provides concise help on design, materials, choosing a manufacturer and specialist contractor, insurance and durability. There are also useful checklists for key stages such as obtaining quotations. When combined with a unique home buildings and contents insurance scheme offered by GGFi, a single ply flat roof becomes a very attractive option. Go to the SPRA Website to download the free guidance and access the link to GGFi Single Ply Insurance.